There is a story making the rounds on the interwebs about a retired postman from Nashville, TN with the header "DNA Tests Prove Retired Postman Has Over 1,300 Illegitimate Children". NOT TRUE. It come's from a known hoax/satire site but folks don't always understand that. The hoax story starts with "An 87-year-old former postman has been proven to have fathered over 1,300 illegitimate children after a private investigator hired by a Tennessee family discovered the shocking truth. The investigation that has gathered thousands of DNA samples and testimonies over a 15-year period ultimately proves the man is the father to literally thousands of illegitimate children in the region". Contraception wasn't very popular in those days," he told local reporters in his defense. "I have nothing to be ashamed of. The 60s were the good old days and I did a great Johnny Cash impression which played out real good with the ladies," he explained. "Some even thought I was Johnny Cash for real," he recalls laughingly. "I don't know if they really believed it or if they were trying to convince themselves, but who was I to say no to a quickie?" he acknowledged. It all started in 2001 when two different men that had nothing to do with each other hired me to find their biological father. I was astounded after further investigation to realize they both originated from the same person. That is when the mystery started unraveling and it became a personal mission of mine, whenever I had some free time, I'd try and track down other testimonies. Eventually, DNA testing became really cheap and easy to use and helped me gather a lot of information in the latest years," he acknowledges. 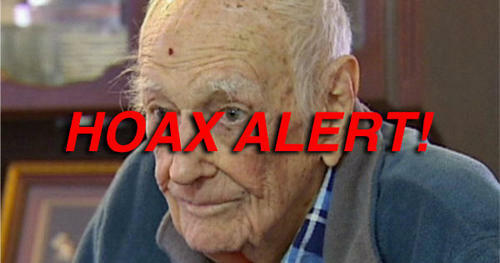 The image in the hoax article of the retired postman actually comes from a TRUE story from 2012 titled "Ben Ludlow Senior - 97 year old man whose wallet was stolen in the Perth suburb of Stratton 2 August 2012". Poor guy. 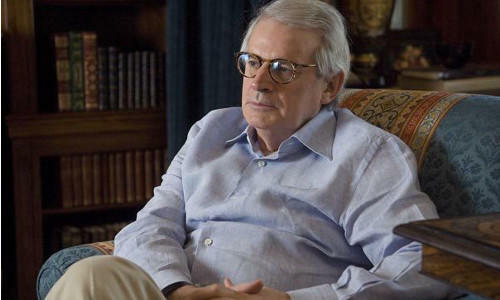 As for the image of "Author Anthony Kendall", it is actually an image of David Stockman, former budget director for U.S. President Ronald Reagan. He's a REAL author. Now you know.